On Friday, Yahoo human resources boss Jackie Reses sent out a memo telling all remote employees that, by June, they needed to be working in Yahoo offices.Anybody who couldn’t, or wouldn’t, should quit. Naturally, many of these remote employees are pretty sawed-off about the decision. 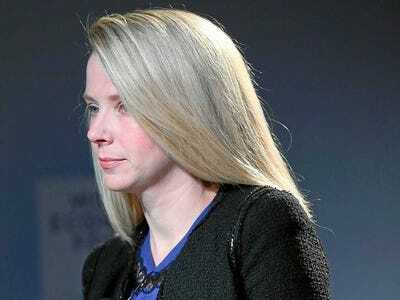 So, why did Yahoo CEO Marissa Mayer make it? Yahoo has a huge number of people of who work remotely – people who just never come in. Many of these people “weren’t productive,” says this source. These people aren’t just Yahoo customer support reps. They’re in all divisions, from marketing to engineering. Mayer saw another side-benefit to making this move. She knows that some remote workers won’t want to start coming into the office and so they will quit. That helps Yahoo, which needs to cut costs. It’s a layoff that’s not a layoff. Bigger picture: This is about Mayer “carefully getting to problems created by Yahoo’s huge, bloated infrastructure.” The company got fat and lazy over the past 15 years, and this is Mayer getting it into fighting shape. This source gives Mayer credit for making a very tough decision – one that her predecessors knew they had to make, but never did.